short & sweet ( and perpetually polished): Get out your sunglasses! After being m.i.a. for awhile, I'm back and I brought you something bright! This is one of the polishes from my misa order, bikini with a martini. It is bright! 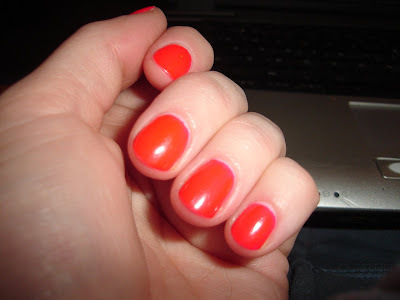 Almost glowing, it's hard for me to pin this color down, in some lights it looks hot pink, other times it looks like a bright orangey coral. 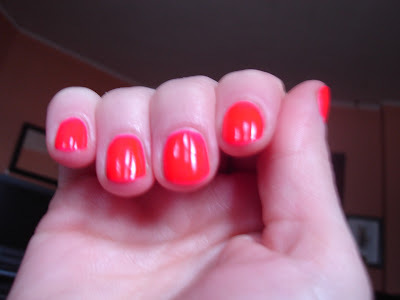 This color definitely needs a good topcoat on me, like most neons it dries matte. Overall a gorgeous color!